** $7,166 Off M.S.R.P. 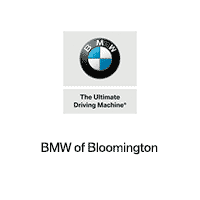 ** Experience BMW of Bloomington, Your Complete Satisfaction is Our Top Priority, Courtesy Service Pick-Up and Delivery, Courtesy BMW Loaner Vehicles, Courtesy Weekly Car Wash, No-Cost Scheduled Maintenance, Call 309-661-2691 for Complete Details Navigation, Active Blind-Spot Monitor, Rear Backup Camera, Heated Seats, Heated Steering Wheel, Power Moonroof, Apple Carplay, Advanced Real-Time Traffic Information, Anthracite Headliner, Auto-Dimming Interior & Driver Exterior Mirrors, Auto-Dimming Rear-View Mirror, Brake assist, Electronic Stability Control, Instrument Cluster w/Extended Contents, Knee airbag, Moonroof, Navigation System, Overhead airbag, Power Front Seats, Rain sensing wipers, Remote Services, Sport Leather Steering Wheel, Sport Package, Sport Seats, Storage Package, Universal Garage-Door Opener, Wheels: 18" x 8" Light Alloy Turbine, Call Today to set up a test drive 309-661-2691. Mineral White Metallic 2018 BMW 3 Series 320i xDrive At BMW of Bloomington, serving Peoria, Morton, Champaign, Springfield and Lincoln IL, we offer new BMW cars in Bloomington, along with many excellent vehicles by top manufacturers. Our sales staff will help you find that new or used car you have been searching for in Bloomington.